Hotel rooms for the PFI Annual Conference in Stowe, VT, are going fast! As of this week, only 40 rooms are still available, so be sure to book as soon as possible. Book your room today! 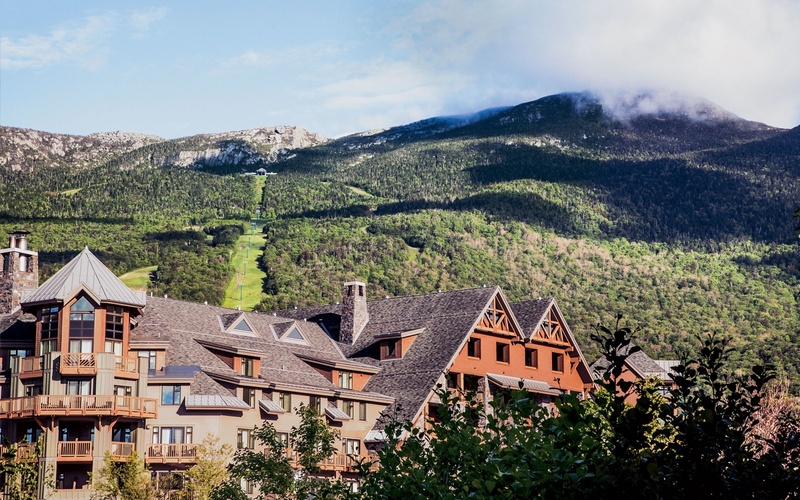 Staying at the Stowe Mountain Lodge makes attending the PFI annual conference convenient and easy. All PFI attendees receive a discounted rate of $259. Take advantage of this discount while it lasts! The Biomass Thermal Utilization (BTU) Act of 2017 is scheduled to be introduced June 27 following an issues briefing of the Senate Working Forests Caucus. The bill once again will be carried in the Senate by Senators Angus King (I-ME) and Susan Collins (R-ME). Once the bill is introduced, we will be working aggressively to recruit cosponsors on a bipartisan basis. The goal is to build up enough bipartisan support that the BTU Act will be considered for inclusion in any tax-related legislative vehicles that may emerge later this year. In the House, Rep. Peter Welch (D-VT) and (tentatively) Rep. Mike Kelly (R-PA) are slated to lead the effort. Rep. Kelly's staff had signaled that Mr. Kelly, a member of the Ways & Means Committee, was interested, but the office has not yet committed to an introduction date. We will continue our efforts with him. His district is heavily populated with hardwood sawmills, which are struggling with mounting residuals piles that the BTU Act would help alleviate. The Hardwood Federation, the leading trade group representing the hardwood forest products industry, has urged Mr. Kelly to be the Republican lead in the House. In conjunction with the Senate's introduction, the National Wildlife Federation is sending a letter to every Member of Congress urging them to cosponsor the bill. We have been working on NWF for many months to get on board with our effort and they recently agreed that the BTU Act would be beneficial to rural economies and the forest resource and will help us lobby for its enactment. The Resources for Future Generations 2018 (RFG2018) is taking place June 16-21, 2018, in Vancouver, Canada. Over 200 proposed Sessions from around the globe will provide a highly diverse program delivered by geoscientists, industry professionals, students, educators, policymakers, and civil society. RFG2018 is a conference anchored by Canadian and international leaders and innovators that will showcase advances in Earth Sciences, education, and innovation. Be part of this global movement towards a sustainable future: http://rfg2018.org. The 50 MW Albany Green plant - the largest renewable energy project in the state so far - is a unique collaboration among Georgia Power, private companies (including Procter & Gamble) and a nearby Marine base. While the cost for biomass generated electricity is too high to compete with wind and solar, the project also produces steam for industrial use, which improves its economics. The guest opinion in Monday's Monitor, "Biomass bill is a bad deal for New Hampshire," by lobbyist Marc Brown and state Rep. Michael Harrington, certainly caught my attention, as it did for thousands of other forestland owners, loggers, truckers, sawmill operators and foresters throughout New Hampshire. As a New Hampshire tree farmer who has managed timberland and who has been affiliated with the forest products industry for more than 56 years, I must respond to several points in the column. The full economic story needs to be told. For example, Brown and Harrington failed to mention that the heart of the debate over Senate Bill 129 involves two key issues: economic activity/jobs and managing our forests. Brown and Harrington refer to the supporters of SB 129 as "special interest groups," but in fact, the market for low-grade timber (i.e. wood chips) created by our state's biomass power plants is a critical foundation supporting our state's entire timber economy, and those markets are vital for maintaining the health of our forests. Biomass is not just about energy, it is also about natural resource management. Scientists, engineers and inventors are putting great effort towards developing advanced lignocellulosic biofuels in Canada. Some examples include cellulosic ethanol, biodiesel, and synthetic natural gas. It is interesting to consider how this might impact the wood pellet industry. Could lignocellulosic biofuels become so valuable that their production will use up all the forestry residues currently being used as raw material for wood pellets? Or, in addition to their use for heat and power, could wood pellets become a feedstock for lignocellulosic biofuels? Bio-energy has acquired a bad reputation in many European countries in recent years, as André Faaij knows all too well. "There is this idea that as a result of the production of palm oil and wood pellets forests are being cut down, food prices are going up and people are starving to death. That's a totally one-sided picture. It is deadly for the development of a sector that is crucial for the economy and the climate." Faaij is one of the top experts in the bio-based economy in Europe. The concept "bio-based economy" refers to the broad aim to make a transition from an economy based on fossil fuels to one in which biomass is one of the key raw materials.